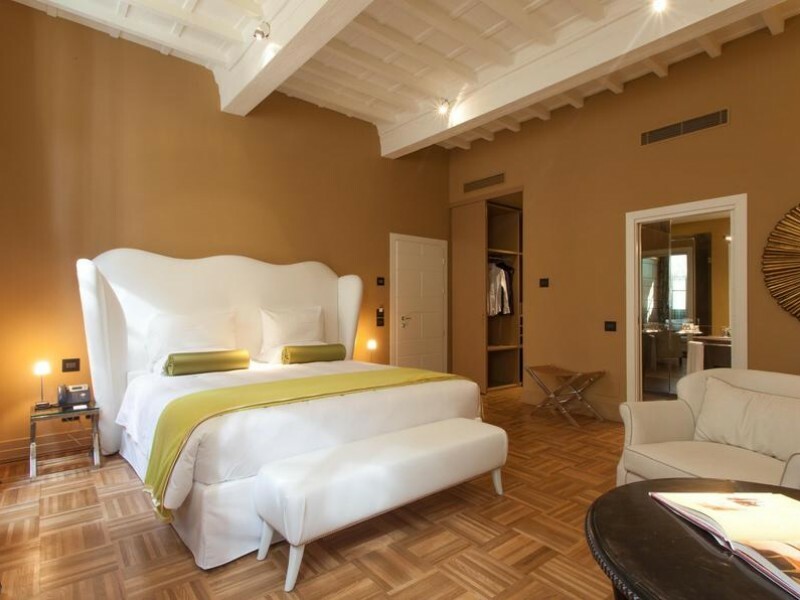 Stylish simplicity rules at this boutique hotel in Florence near the Duomo. Soaring ceilings and elaborate parquet wooden floors define the 45 guest rooms and suites that are comfortable for honeymooners, families, or business travelers. 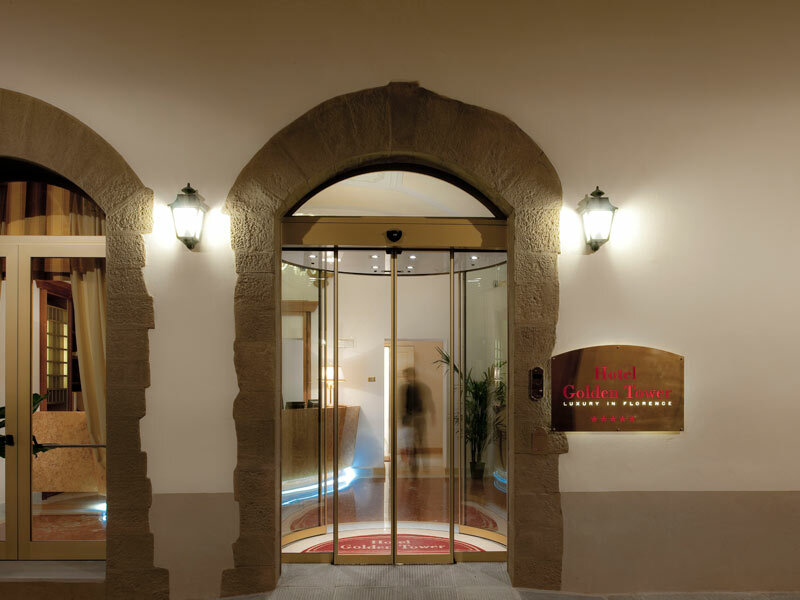 Situated close to all of Florence’s shopping and attractions, this design hotel also features a fitness center and an eatery. Le Muse Ristorante & Lounge Bar, serves creative regional dishes featuring fresh, local ingredients for breakfast, lunch, and dinner. 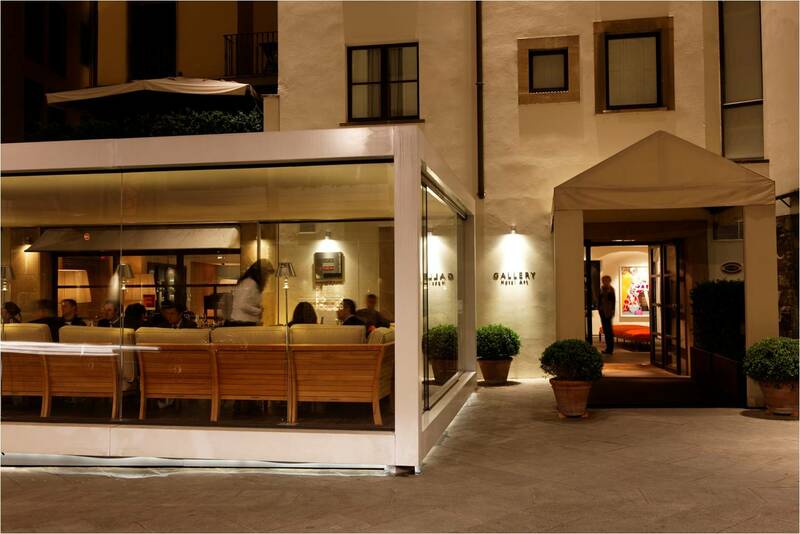 In the lounge, enjoy a unique list of cocktails, as well as an impressive aperitivo served both indoors or in the elegant courtyard. 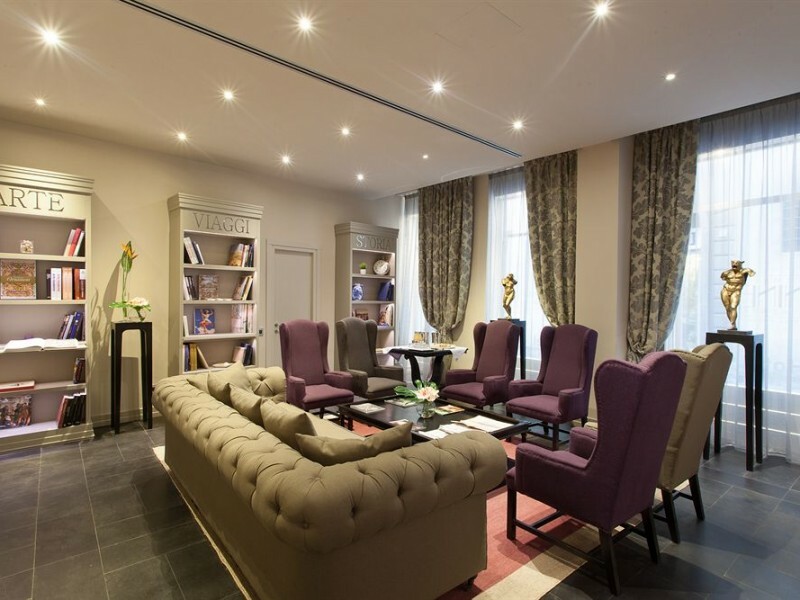 Relax after a day of sightseeing in the Klab Spa at Firenze Number Nine Hotel. Enjoy the whirlpool, saunas, and Turkish bath, or book a massage, yoga class, or other treatment to get your Zen on. Original works of art are on display throughout the property, bringing the city’s storied Renaissance traditions to the forefront. Guest rooms are separated into three categories: family, honeymoon, business. 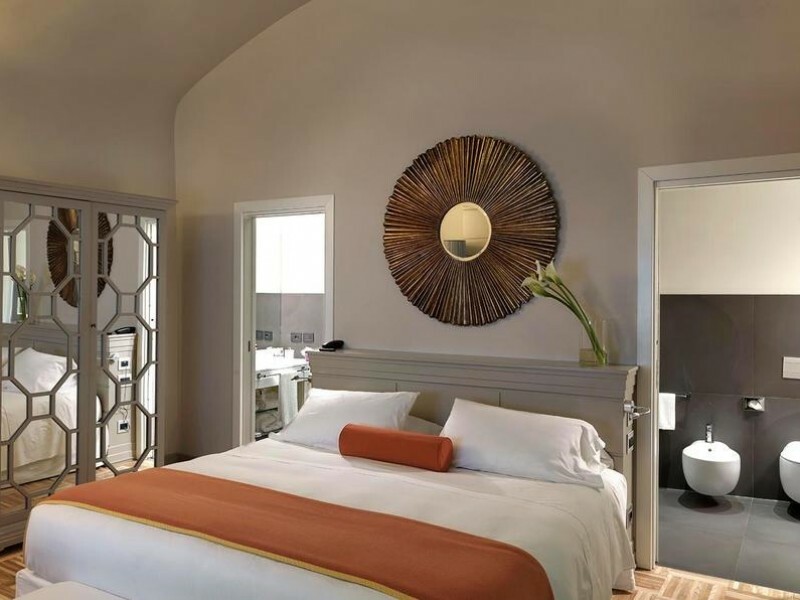 Some can be connected to fully take advantage of the already spacious accommodations that are furnished with hypoallergenic beds and cutting-edge technology. Subtle décor is accented with bright pops of color, while the oversized windows allow the natural light to flood in. 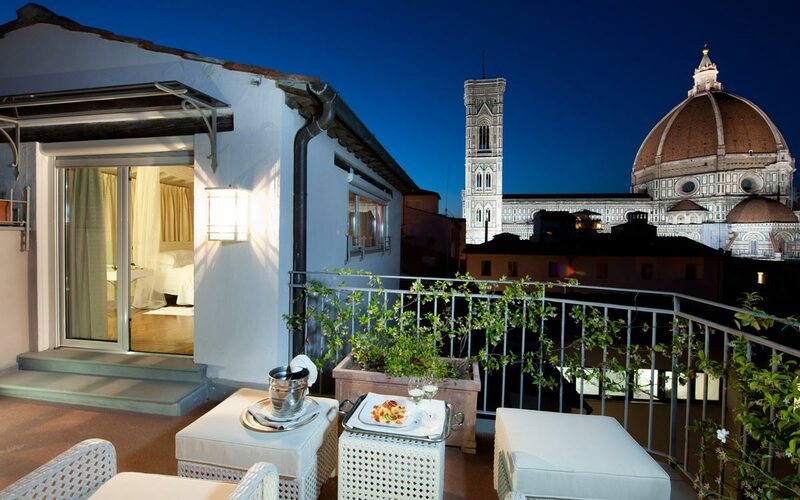 If you can, try to snag a room overlooking the dome of San Lorenzo, or the iconic Duomo. Sleek rooms with interesting architectural details, three of the nine accommodations in this category feature a balcony and two are accessible for those with disabilities. All feature a king bed or a super-king, as well as a smart TV and WiFi. Within this category, choose between a family style or a honeymoon style. The former sleeps four guests, while the latter is perfect for two. Sleeping configurations include king beds, super-king beds, queen beds, and a sofabed. 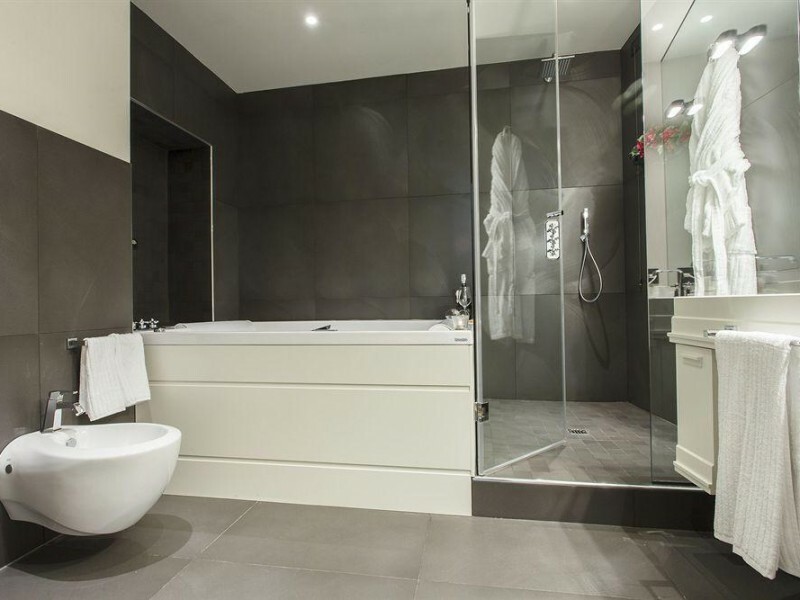 Some rooms feature double showers, while others include a deep soaking tub. Great for business travelers who need a little more space or couples not interested in all of the frills, these eight straightforward accommodations are chic in design. Expect wood-beam ceilings, parquet floors, either a king or queen bed, and some rooms come with whirlpool tubs. These five apartment-style rooms consist of adjoining suites and junior suites that are suitable for families and those with disabilities. Some even feature a balcony. 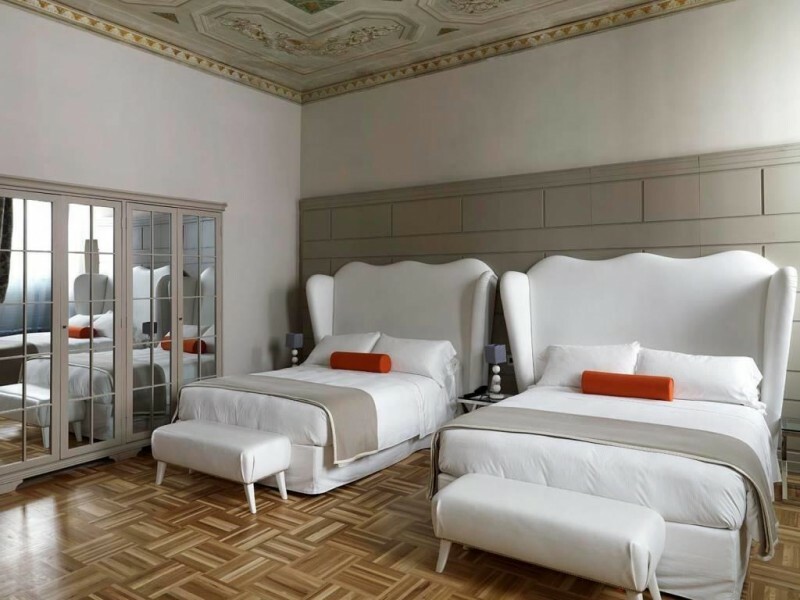 Perfect for single travelers or those visiting Florence for business, these four elegant rooms are stocked with the perfect furnishings needed for one. A desk, single bed, and a wardrobe outfit the sleeping quarters, while the bathroom includes a walk-in shower. 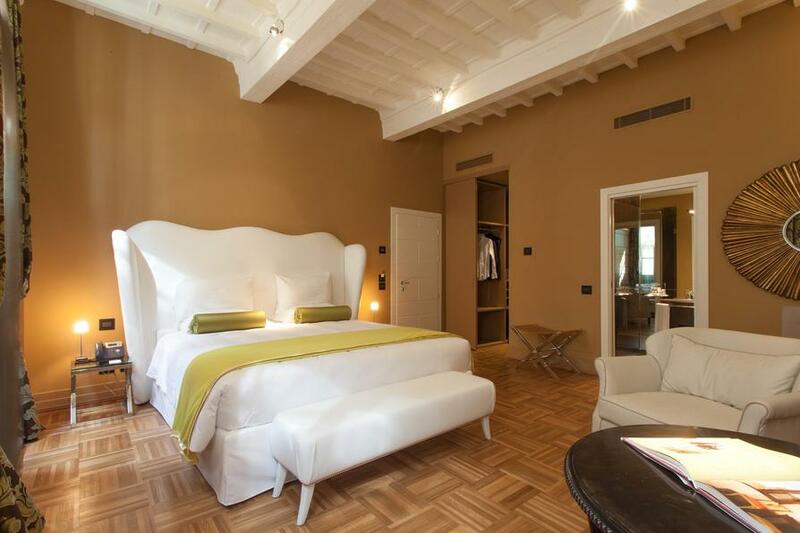 The penthouse at Firenze Number Nine Hotel sleeps up to four guests on a super-king bed and a sleep sofa. The bi-level suite also comes with a smart TV and oversized windows to flood the lofted space with natural light. 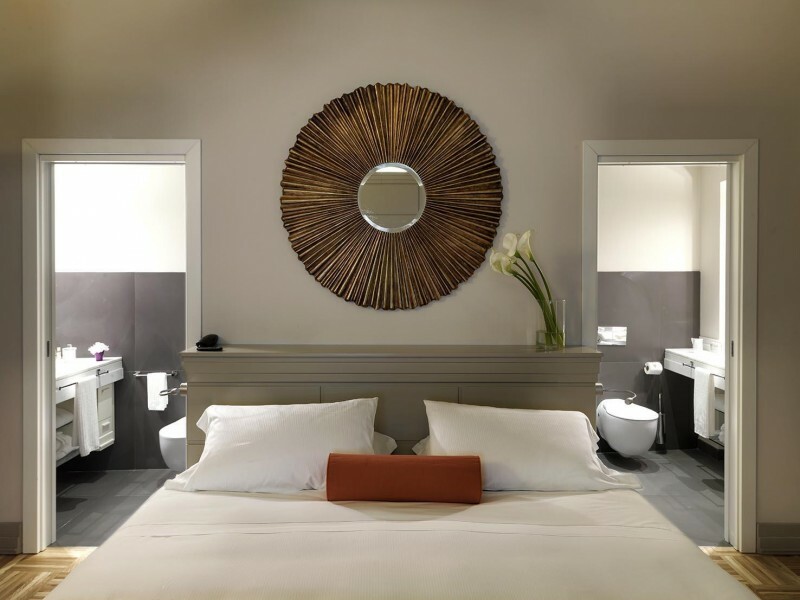 Two executive rooms accommodate up to two guests and feature a small seating area for those who need to conduct business during their stay. 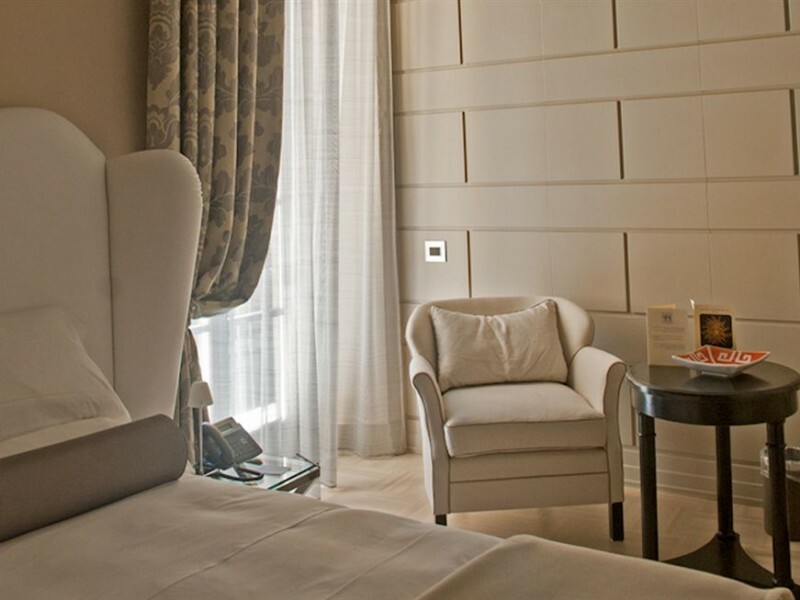 The two deluxe rooms feature one super-king bed with upholstered headboard, a shower, and one features a sofabed. Each features a double sink in the modern bathroom. 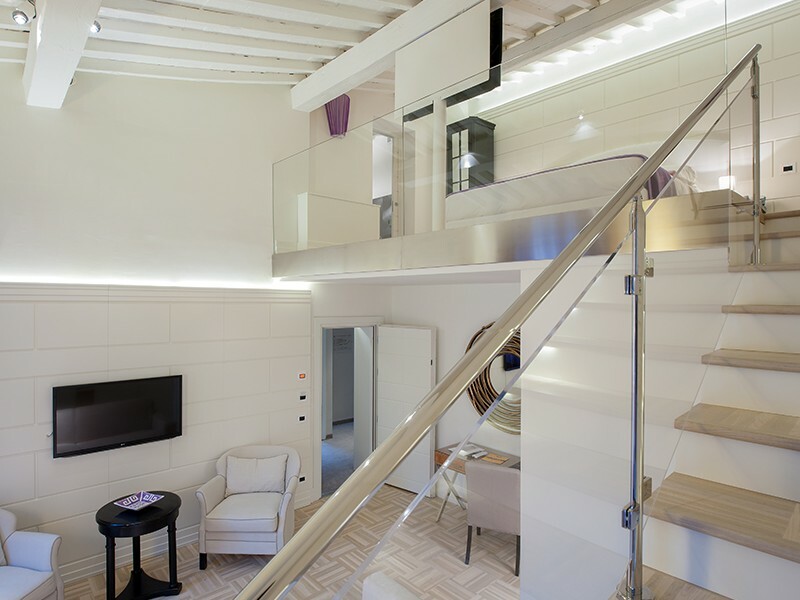 Two of the four rooms in this category feature a balcony, and different sleeping arrangements can be made, from twin beds to a super-king. One suite is good for three people, two fit four people, and the last accommodates up to six people—great for larger groups. 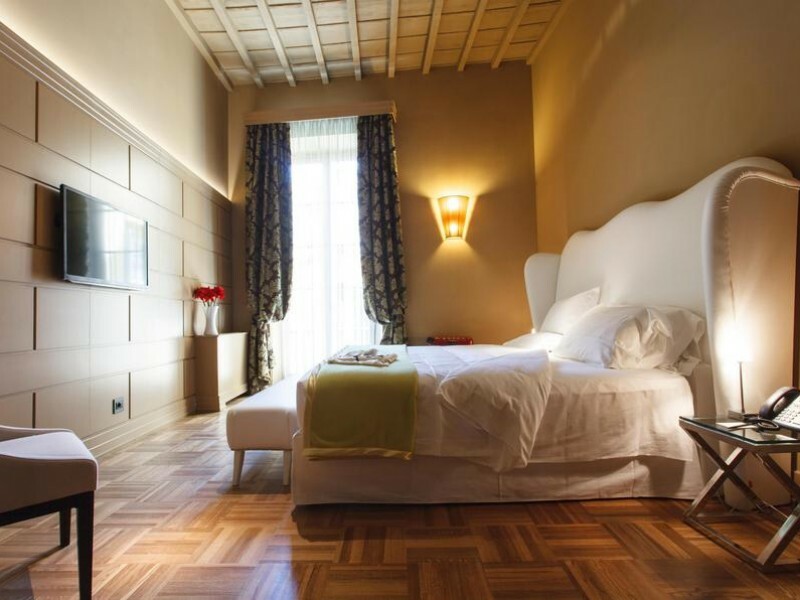 If you’re looking for a boutique hotel in the heart of Florence’s historic center, look no further. 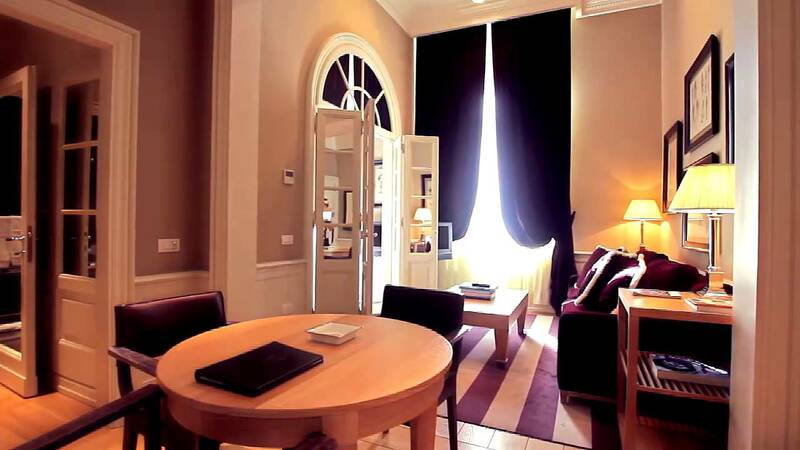 Situated near the San Lorenzo Market and the Duomo, this property is also nestled among amazing restaurants, fantastic shopping, and all of the must-see attractions the Renaissance City has to offer. Get ready to walk, because you’ll be within steps from everything on your Florence checklist. Pets allowed for a fee. Pets are allowed on request.